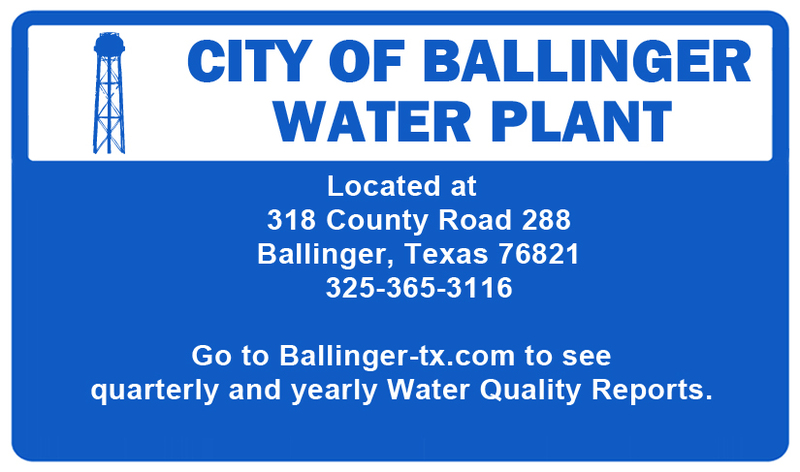 This section contains water quality reports on Ballinger, Texas drinking water. Note: The water quality reports on this website are for “general information” only and should not be misinterpreted as being Texas Commission on Environmental Quality or U.S. Environmental Protection Agency official analyses on our drinking water. Please refer to the annual Consumer Confidence Report for official data.